You are the LEADER of your LIFE – Step into your power! Do you feel lost in looking for results in your life or career and can’t seem to get through it on your own? Are you going through a change in life? Stuck in indecision? Limiting beliefs holding you back from being your best? Wanting a promotion at work? Build confidence. Gain respect. Develop healthy habits. Create work/life balance. Have your voice heard. Be seen as a leader. Step fully into life. You are the LEADER of YOUR LIFE – Step into your Power! Coaching benefits your personal and professional life by helping you connect in a deeper way by building your competence to better face life circumstances. Coaching is like having a personal trainer who works with you to build long-term excellence, the ability to self-correct, and the competence to self-generate when life gets tough. Integral coaching helps you to create a new way of being to bring your whole self to life. You are guided through this growth and transformation and much of the work is done between the sessions. You will change your way of being in the world to achieve the results you’re looking for (and more that you didn’t expect)! In the works. Please let me know if you’re interested in more information. I’ve been there… passed over for promotions, a loss of confidence, wondering what to do “when I grow up”, lack of fulfillment in life, and just plain stuck. If I could go back and do it over again I would go about it in a different way now that I know how to access the power within. Live and learn… but having a coach guide me through these life challenges would have helped me from dwelling on them, beating myself up, and repeating the same behaviors. My experiences fed my desire to help other managers and aspiring leaders who feel held back by their limiting beliefs and trying to grow professionally to living a life of purpose. I’ve worked in corporate America, the majority of that time was spent at companies working my way up from entry level marketing positions to marketing management roles and eventually started my own business. Needing more fulfillment in what I do for my work, I did a lot of soul searching and some self strategy, which brought me to coaching. It’s the first time in my life I can honestly say, this is my vocation. I work with you where you are at in your life and bring in practices to help you embody a new way of being to make the changes you’re looking for. Coaching influences come from all of life. I’m especially inspired by nature and bring it into my coaching where I see fit. Nature has so much to teach us about ourselves, spirituality, and connectedness. Yoga poses are another element I add to my coaching somatic practices. My daily practices include meditation, reflection, yoga and a variety of fun body movement exercises. This consistent practice started when I began my coaching training and has become an integral part of my life. When I give my clients practices to aid in their development, I’m with them along the way. Follow my blog to learn more about me, my coaching style, and daily practices you can incorporate to step more fully into life. I was a skeptic of these kinds of programs and thought that I had a firm grasp of the issues that plagued my personal and professional life. After a few sessions with my life coach I realized how wrong I was. During the process, lets call it my life transformation, my life coach Amy Klous made each session very pleasant and enlightening. I left each time feeling positive and eager for more. I can’t speak for anyone’s issues but the problems I had were unaware to me, and with the guidance of my life coach I was able to rectify many issues I had and laid down a foundation for me to continue to grow on my own. The tools and knowledge I obtained through this process are priceless to me. I want to thank Amy for everything she has done for me and she told me that she wants updates from me while on my journey showing me that she is not just in this for a job, but that she truly cares for my wellbeing. meetings to fit my needs, such as walking meetings and meetings at my home. stretch my boundaries and challenge me to move in the direction I was looking for. 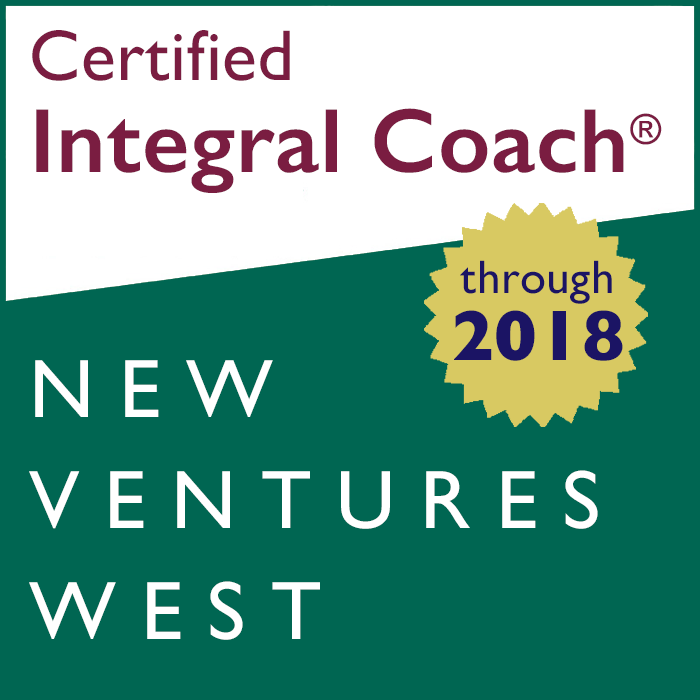 Contact me for a conversation to learn more about how integral coaching can help you STEP FULLY into LIFE. We’ll discuss what coaching is about and how it works, answer any of your questions and see if we’re a good fit on your journey.